HELPFUL TIP: Because the markings on the syringe can wear off, wrap the body of the syringe with clear tape. One way to very gradually taper is to use the liquid form of a medication and take it with a 10 milliliter oral syringe or, for very tiny doses, a 1 milliliter or .5 milliliter oral syringe. Availability varies in different countries. Please see Important topics in the Tapering forum and FAQ for information pertaining to your particular drug. If you find your dose is smaller than the ticks on the smallest 1mL or 0.5mL oral syringes, you can dilute your suspension more (usually with water) so you can draw measurable amounts into your syringe. Please see Important topics in the Tapering forum and FAQ for information pertaining to your particular drug. The syringe fits into a small hole in the bottle cap. Insert the syringe firmly, then turn the bottle upside down to draw a dose from it. stan, in the first photo, what is the small machine to the left of the oral syringes? I actually probably have just about every kind of syringe there is after taking care of two dying cats plus one who nearly died but survived. (At different times over literally decades, of course.) Some are needled variety where I just removed the needles and disposed of them (responsibly!) but others are oral. I'd have to look for them. As you might expect, although I saved them for various uses that sometimes arise, I put them out of the way and was glad I didn't need them at this time! Compounding pharmacies will have a wider range of oral syringes. They cost very little; most pharmacies will give them to you gratis. 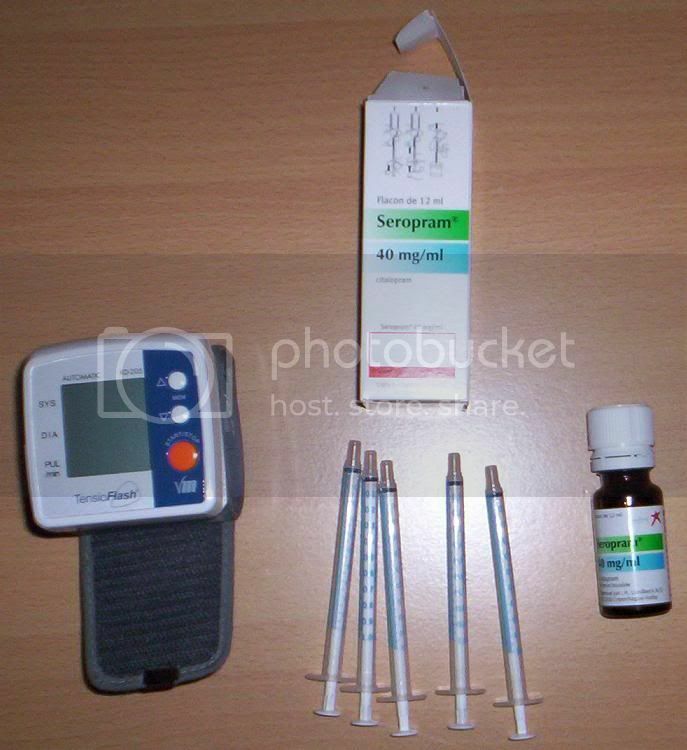 The larger 10 mL syringe can measure out dosages as small as .2 mg; the small 1 mL syringe (see the second post in this topic) can measure out dosages as small as .01 mL. There are also .5mL oral syringes, measuring as small as .01 mL. All fit into a cap in the bottle as shown in the first post. 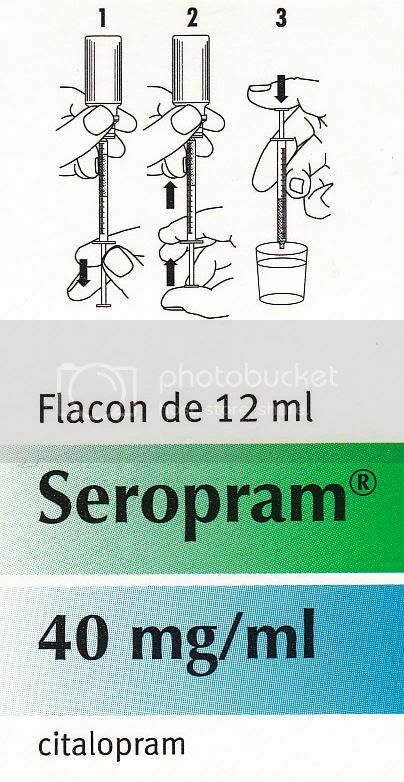 The Monoject syringe in the photo above is just one brand of oral syringe. There are many brands available. In the US, Becton-Dickinson (B-D) oral syringes are widely available. They hold up through repeated uses (wash with hot water) but the markings are a little smeary. Where do you get a pipette? Is it marked with measuring ticks? If you can find a photo, please post it in this topic. All compounding pharmacies need a prescription written by a doctor specifying the compound, e.g. "100 milligrams in 100 milliliters liquid. Take 10mL (10mg) twice a day." Some people report success with dividing contents of capsules into smaller amounts. This is easier when the contents are granules or pellets rather than powder. 2) Open as many empty capsules as you intend to use. 3) Open a medication capsule by grasping it at both ends and gently twisting it. It should come apart in the middle. 4) Carefully pour the contents of the medication capsule onto a creased piece of clean black or dark paper. The fold will help keep beads from rolling around. The dark color makes them easier to see and count. 6) With an empty gelatin capsule, carefully scoop up one pile. Put the cap on the capsule. Repeat with other piles. 7) Put the divided doses into a clean medicine bottle marked with the dosage. Also, we must note not all drugs can be mixed in liquids. Some deteriorate upon contact. To see if you can make a solution of your medication, try Googling the name of the medication and solubility. 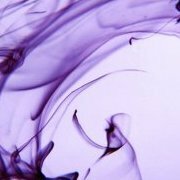 There may be some studies that will tell you what liquid the medication may be dissolved in and how long it will be stable after you make a solution of it. If you get the prescription liquid, always look on the label to check the concentration of the liquid you get as it can vary among manufacturers, and adjust your dosage calculations accordingly. For example: A liquid might contain 5mg of the drug in 1mL, a 5:1 concentration. To take 1mg, take .20mL (1/5 of a milliliter). The medication doesn't necessarily have to dissolve or be soluble in whatever you're titrating it in. Of the five meds I take using liquid titration, only two are actually soluble in anything you can drink. As long as it forms a suspension and you can keep the suspension uniformly mixed while you measure out your dose (or the part you're removing from your dose) the liquid method will work. Alto, I'm sorry, I have to disagree. I really doubt that drugs are so chemically unstable that they would deteriorate on contact with liquid. I can't imagine it. All drugs have to be chemically stable enough that they won't break down while they're being administered, either orally or via IV. They need to be absorbed chemically intact. Bodies are big sacks of liquid. There may be some exceptions, some kinds of drugs that are designed to break down in the stomach and be absorbed in some kind of broken-down form. That's something a pharmacist would know about. It might be Google-able. Not to say that they might not deteriorate if left in the liquid for a long enough period of time. Especially in heat or sunlight. Probably would. What might deteriorate are the binders and fillers in the pill, which are designed to break down once they hit the stomach. I'm working on writing up a simplified liquid titration method, will get that together soon. Having some problems with postviral fatigue and nausea right now. The term "fat-soluble" is misleading. It doesn't mean that a drug will dissolve in fat. If it did, we'd all be liquid titrating our drugs in olive oil. "Fat-soluble" is the usual translation of the obscure chemical term "lipophilic." It means the molecule doesn't carry a partial charge, so it's not attracted to water molecules and tends to be pushed aside by them, hence tending to clump up with other lipophilic molecules that are doing the same thing. I have to run now but I'll get back to this, please remind me. Basically, regarding titration using milk, some people swear by it, and I did find a Google reference to an article about Valium molecules (which are lipophilic) adhering to (or clumping up with) microscopic particles of fat (which you would find in homogenized milk) so there may be something to it. I prefer water because (a) you can see your suspension and ensure, visually, that it's uniform; and ( for me, personally, since I dose two of my meds every three hours and have to carry them around with me, milk would be yuck. Gotta go, more later, ask questions...? Thanks for that additional knowledge, Rhi! Your knowledge abouthow to handle titrating drugs is definitely welcome here. Stability is definitely a problem, though. Can you keep a mixture for 2 days? an hour? 15 minutes? There are some drugs that cannot be mixed in liquids: Cymbalta, for one, because it needs to be protected from stomach acids (that's what the coating on the pellets is for). Other drugs might be damaged by, say, the acid in orange juice. Yeah, stability is probably the most unknown factor. I think you can safely assume it'll be stable long enough to measure out your dose. A lot of folks tapering benzos will make up the day's liquid and then drink from it at intervals through the day over 24 hours. It seems to work. But that's to cover interdose withdrawal. Is i/d w/d an issue with ADs? I just take my Celexa once a day. Remember that just because something isn't soluble doesn't mean you can't liquid taper it. As long as the glues holding the pill together will dissolve and allow the pill to turn into a liquid suspension in water, if you keep it evenly stirred up while you measure, you can taper it. The actual drug chemical itself doesn't necessarily have to be dissolved. It just needs to be uniformly dispersed. Something else you can't liquid titrate, besides the capsules with pellets, is an extended-release tablet. Most antidepressants are once a day. Some people have to take regular Effexor or Wellbutrin twice a day. Do you have any tricks about keeping the suspension even while you're measuring it out? Just stir it up before you start to draw it up and then draw it up quickly past where you are measuring to, and then push out down to the line you're measuring to. It's not going to settle out quickly enough to be a problem. The turbidity of the solution will give you a visual cue as to how well mixed it is, but what you're seeing are the large particles of filler, not the actual clumps and molecules of the drug, which will settle out much more slowly because of their size. So give it a good stir and then draw it up fast while it's still looking all cloudy and mixed up and you should be fine. I just wanted to add, for anyone discouraged by the videos further up in this thread, liquid titration really doesn't have to be that complicated. I haven't found a pill yet that won't dissolve in water if you let it sit there for a while, so you can dispense with all the crushing and blending business, and really you'll get a smoother suspension if you just let the glues and binders dissolve like that. And you won't be losing as much of the drug to the various surfaces it's exposed to (best to expose it to the minimum number of different surfaces because some will always adhere to anything that touches it). I dissolve my Celexa tablet (it does have to sit a while, maybe ten or fifteen minutes) in water plus a little ethanol (you can skip the ethanol though). I dissolve it in a shot glass. I draw up the now-dissolved contents with a pipette, then put the pipette in a jar of water and draw up enough more water to make 10 mL. I add another 10 mL of water for a total of 20 mL. I stir the mixture with the pipette then quickly draw up my dose for the day and then take it. Then I throw away the rest. This could be adapted to use syringes instead of pipettes. Basically they're the same thing, pipettes are just bigger and easier to read. You can also dissolve the pill in a small amount of water in the bottom of a graduated cylinder, then add water up to whatever total amount you're using, stir, and draw out the amount you're going to "toss" and toss it; then take what's left in the cylinder, then rinse the cylinder well and drink the rinse water. The most important thing is to do it the same way every time. ALSO VERY IMPORTANT: When beginning to use liquid titration, just the fact that you're going from dry cutting to liquid is going to be a cut in itself. There's no way to do this without losing some amount of drug that sticks to the various surfaces you're working with. So don't try to cut when you start to titrate; start the titration at your full dose, and once you've adjusted to the cut, begin to cut down. If any of this is unclear please feel free to say so and I'll try to make it more clear. I think it's well worth the trouble, personally, because I can cut my Celexa 0.05 mg at a time, easily. I used water for titrating Klonopin (brand) very effectively. I used a disposable straw as a pipette since I could not find pipettes for sale anywhere except in bulk. I would submerge a bit of the straw in the suspension (well agitated) and create a vacuum by covering the tip w/ finger. Lift straw, swivel, hold over empty cup, lift finger... fluid drops out. Worked fine. And straws are free at any McDonalds around the world. :-) glad you liked it, you have cracked me up so many times I'm glad I made you smile. Pipettes for sale except in bulk: websites for people doing science fair experiments for their kids! (I know, supposedly kids doing science fair experiments, but if you're a parent you know how THAT goes, and don't get me started on how stupid it is to force 8-year-olds to come up with science experiments when their brains aren't yet developed enough to think concretely). and I think there are others. You just get a nail file and do one little stroke with it from the side of the tablet. Next week do - wait for ! - TWO strokes with the file, again for one week. The 1mL oral syringe should have ticks at .02mL (5 ticks between 10ths) or .01mL (10 ticks between 10ths). The Becton Dickinson 1mL oral syringe is marked at .02mL. The Danish-made Baxa Exacta-Med 1mL oral syringe is marked for .01mL. Oral syringes may be found at pharmacies, veterinary offices, or medical supply stores. I've always gotten them for no charge from my pharmacy. They should be less than U$.25 if you have to pay for them. It's always good to have a few of them, so you can wash them and let them dry between uses. I just got .5mL syringes from my compounding pharmacy. Wow, are they tiny, but with very clear markings. Made by the Danish company Baxa. 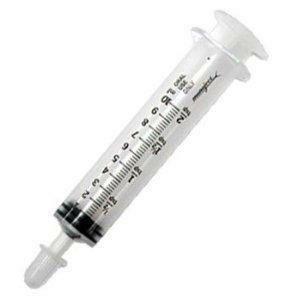 1) Measure out the amount of water you'll need in milliliters with an oral syringe. Put the water in a small, clean clear wide-mouth container with a tight cap, such as a brown or green plastic medicine container. Do NOT use juice. Use water so you can see how well the particles are mixed in the water. 2) Crush a tablet by cutting it up and then crushing it into a powder with the back of a spoon. Do this on a piece of plastic or paper so you don't lose the particles. You can open a capsule by grasping both ends and twisting gently. The capsule is in two parts and will open in the middle. 3) Carefully put the powder into the water. Put the cap on tightly and shake. The particles may not dissolve well, floating around in the liquid. This is called a suspension rather than a solution. Make sure the particles are evenly distributed throughout the liquid. 4) Using an oral syringe, withdraw your dosage from the middle of the liquid. Another way to have your medication made into a liquid is to have a compounding pharmacy make it for you -- but they will need a prescription from your doctor. Your local pharmacy probably has oral syringes. They are used to give medications to infants. They will give these away if you ask for one. They may also have more expensive oral syringes in packages for sale, in the area where they have pill cutters and pill boxes. Those oral syringes may not be what you need. They may be too large or the markings may not be precise enough. The clear oral syringes are best, it can be hard to see small liquid doses in the colored ones, which may be amber or green. One oral syringe costs the pharmacy less than U$.20. Veterinarians. They use oral syringes to give medication to animals. These plastic syringes are disposable, but they can last a long time. I've had Becton-Dickinson and Baxa oral syringes; the markings wear off only after many months of use. Rinsing with warm water is sufficient for daily use. Make sure you put the oral syringe somewhere to dry before using it the next time, or the water left in it will throw measurements off. It's good to have a few oral syringes to rotate, to let them dry. Every week or so, I wash them by rinsing them out with a little soap and very hot water, and letting them air-dry. They're not sterilized to begin with, they do not have to be boiled or purified for your own reuse. Just make sure to clean them occasionally with soap and hot water. I wouldn't put them in the dish washer. If the markings wear off, rinse them and recycle them with plastics, or use for crafts to apply glue, etc. ....An oral syringe is a measuring device used to accurately measure small doses of liquid medicine, which are then given to your child by mouth. You will be given the following pieces of equipment. A bung or stopper with a hole through the centre that fits in the top of the medicine bottle. 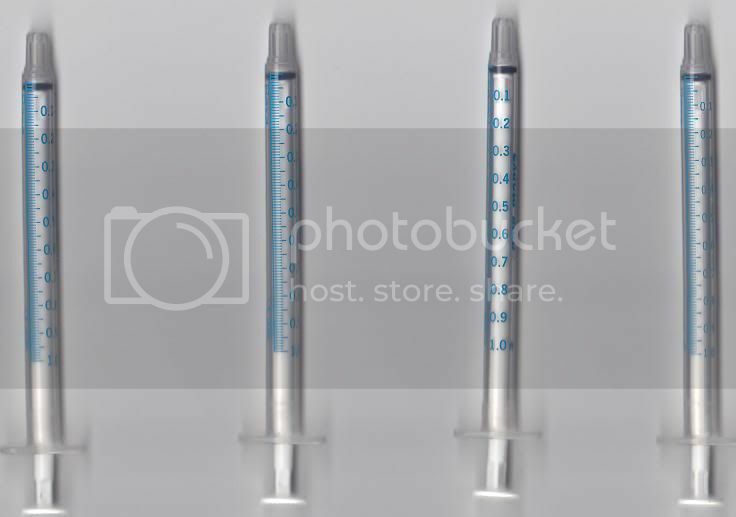 A plastic oral syringe with a measuring scale on it. This will normally have a line marked on it to indicate how much medicine you need to give. Note for US readers: A bung is a cork with a hole in the middle. I get a blue plastic cap with a hole in it from my compounding pharmacy to put on the medication bottle. It does the same thing. If the medicine is a suspension the label will remind you to shake the bottle. Remove the lid and push the bung firmly into the top of the bottle. Push the tip of the oral syringe into the hole in the bung. Pull the plunger of the syringe back so that the medicine is drawn from the bottle into the syringe. Pull the plunger back to the point on the scale that corresponds to the dose prescribed....If you are at all confused about how much medicine to draw into the syringe, ask your pharmacist or doctor to clarify this for you. THEN open your mouth, aim the syringe towards the middle of your tongue, and gently push the plunger down, depositing the medication in your mouth. Swallow. Don't push too forcibly on the plunger or the liquid might splash out of your mouth and you won't get your full dose. I then put the oral syringe in a glass of water, pump the plunger a couple of times to get all the medication out of the syringe, and drink the water -- because I want to be precise about my dosage. How can I get a bottle cap in which I may insert an oral syringe? Your pharmacy should be able to give you a bottle cap with a hole in it for an oral syringe. Sometimes they'll have smaller plastic bottles that fit the caps. You can carefully pour some of your liquid into the smaller bottle and use that with an oral syringe. It will be easier to draw a dose in an oral syringe from an upended smaller bottle than a larger bottle. In my experience, most drug stores don't carry these things, you need to buy them online. Ebay often has good deals on stuff like this, too. How do I get the bubbles out of my oral syringe? I shake the bottle of liquid Celexa. Do I need to do that? It does cause bubbles in the syringe. When that happens I empty the syringe and start again. Last night I didn't and I felt 'not so good' this morning. Anxiety came back and my head bothered me. I am thinking that if there is a bubble or two I would actually be decreasing more than what I intended to do. I am now down to 3/5 of mL. Slowly approaching the 4mL mark on the syringe which will be 2mgs. leaving me at 38mgs. Can't wait to get there. I do know from this taper that tiny cuts and a good respite between doses is the best route. Look at the instructions for your liquid medication. Do they say it needs to be shaken? If not, don't do it -- this will make it frothy and bubbles will end up in your oral syringe. - Pump the plunger on the syringe until the liquid you've drawn into the syringe has no bubbles or only a few tiny ones. Pumping the plunger sends the bubbles back into the bottle, where they will float upward, leaving less bubbly solution for you to draw from. - Gently push the plunger to your desired dosage. - Hold the syringe upright. The bubbles will tend to float towards the tip. - The bubbles may "stick" to the sides of the syringe. Gently snap the syringe with your fingernail (like you see nurses do on TV) until the bubbles have floated to the tip. - Holding the syringe upright over a container or sink, gently push the plunger to your desired dosage. Some of the liquid will dribble or spurt out. Shake the syringe gently to dislodge any drops sticking to the outside of the syringe. - Shoot the medication into your mouth. The bubbles can definitely make a difference in the amount of medication that gets into you! To use the oral syringe, you need a special cap to put on the bottle of liquid medication. The cap should have a hole in the middle of it, the tip of the oral syringe fits into this. If there's no cap to fit your bottle, ask for a smaller medicine bottle with this type of cap. Pour some of your liquid Prozac into it and draw your dosage from the smaller bottle. 2) Fit the tip of the oral syringe tightly into the hole in the cap. 3) With the oral syringe stuck into the cap, gently tip the bottle over. Securely hold the bottle upside down with one hand at eye level. 4) With the other hand, gently draw your dosage into the syringe. You should be able to see the liquid level and amount of dosage by the markings on the syringe. 5) If there are bubbles in the liquid, pump the syringe several times, pushing the liquid back into the bottle. Draw the liquid again until there are no bubbles. 6) Gently set the bottle right side up on a table and carefully withdraw the syringe without moving the plunger. 7) Shoot the liquid in the syringe into your mouth. Make sure it all goes in your mouth. The most precise oral syringe? The best oral syringes I've found, with the clearest markings, are from the Danish company Baxa. They are called ExactaMed oral syringes (with a non Luer tip). Baxa offers free samples here http://www.baxa.com/exactamed/downloads.html You might be able to get your pharmacist (or doctor or nurse) to request 5mL, 3mL, 1mL, and .5mL oral syringes for you. You do not need a prescription to get oral syringes, although pharmacy supply sites may require that you be a business to make an order. - Fill the syringe with more water (or milk, or pharmacy liquid) than you need. - Hold the filled syringe with the tip pointing up. - Snap it a few times with your fingernail to get the bubble to go to the top. - Carefully push the plunger in to force all the air out and make liquid come out of the tip. (Do this over a sink.) Push it in to hold the amount of liquid you want. - The tip does indeed hold some amount of liquid. When you empty the syringe, push the plunger to the end. You'll see some liquid remaining in the nozzle. Don't worry about this, don't attempt to measure it or include it in your solution, it will mess up your measurements. Discard it. This seems like a stupid question but really has me concerned: In order to be precise when drawing in the zoloft liquid exactly which part the plunger end do I line up with the dosage measurement line...is it the bottom or top of the black layer,or is it the white, very lowest part of the plunger end? Using a 5ML syringe, it seems there's room for error when trying to measure out 2.25 ML of this thick, gooey zoloft suspension concoction my compounding pharmacist gave me. Cats this is not a stupid question at all, it's the kind of thing I've agonised about! Not being able to see your syringe, I would say it's the bottom of the bottom black line, but, you can decide what it is and stick very firmly to that decision every single day. cats, I know exactly what you mean, is the black rubber gasket the correct line or is it the white plastic? The very top of the black rubber gasket should align with the tick on the syringe. This measures the amount of liquid in the chamber.